When someone is stuck in a situation where they need a large influx of cash a loan can be a great solution. However, in the unfortunate situation where money becomes tight and they are unable to pay their instalments the situation can become quite stressful and cause a lot of heartache. What will happen if I cannot pay the loan back? What happens if I miss a payment? How will it affect my credit history? Will I lose my assets? These are some questions that will constantly go round in a borrowers mind if they are in a situation where their loan cannot be repaid there are multiple questions that go through your mind. 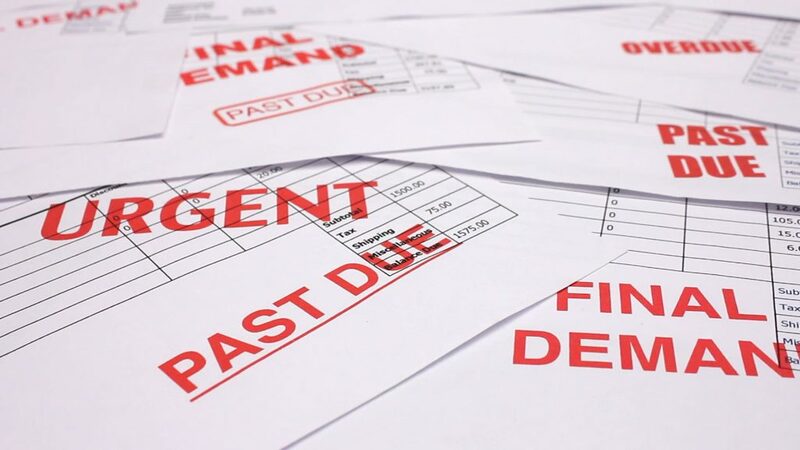 What are the consequences of not paying back a loan? Defaulting on a loan can have many impacts long-term and short-term. There will be a negative effect on a borrower’s credit score resulting in an inability to receive finance later on. Problems with paying back a loan can also result in having to pay back a larger amount of money than before, in the form of late payment fees and interest fees if loan repayments are missed. In addition to this, they may also be proclaimed bankrupt and receive a County Court judgement if a problem at this occurs. In extreme circumstances, especially if they have a secured loan they run the risk of losing all of their possessions. What are the implications of missing a payment? Missing payments is not favourable when it comes to paying back a loan. Luckily, defaulting on a single occasion might not be as detrimental as you think. Normally a missed payment incurs a fine, which is usually quite nominal. In addition to this fine, you will have to pay a large amount of interest due to holding the loan longer than expected. If borrowers miss more than one payment they will, however, face more dire consequences. The action they face will be entirely dependent on whether they have a secured loan versus an unsecured loan. Missing regular payments give the lender the ability to continuously charge borrowers with more fines and higher rates of interest. Alongside this, lenders can also report any missed payments to credit agencies, thus negatively impacting your credit score. Lenders will also try to recover any outstanding payments using various methods. They have the option of selling their debt onto a debt recovery agency that will then try and recover the money. Alternatively, they can file for a CCJ which will result in a court making it mandatory for them to pay off the debt. If you possess a secured loan, lenders and more than likely to attempt to sell any property in order to use the money gained from the sale to recover any outstanding debts. Lenders are obligated to report to credit rating companies any multiple defaulted payments by customers. This can be in the form of CCJ’s, bankruptcies, default notices and IVAs. Default notices are normally sent to customers from lenders if they have defaulted on a payment for up to six weeks. Normally a default notice will be included all the terms of the agreement, and which of those have been broken. It will also include instructions in the help to rectify the situation. These notices will be recorded on a person’s credit history this making it more difficult for borrowers to obtain credit in the future. CCJ’s can be avoided from being added to someone’s credit history if the money owed is paid back within six weeks of a CCJ being granted. CCJ’s are ordered that are obtained from a county court ordering the lender to pay any money that is owed. While default notices in CCJ’s are granted due to the lender asking for the return of any money that they have lent, bankruptcies and IVA’s are an option that borrowers can take if you are having difficulty returning the money owed. These options can help by wiping out part of a person’s debt as well as enabling small monthly repayments. Opting to take one of these options, however, should be carefully considered as they can have an extremely negative impact on a person’s credit history.